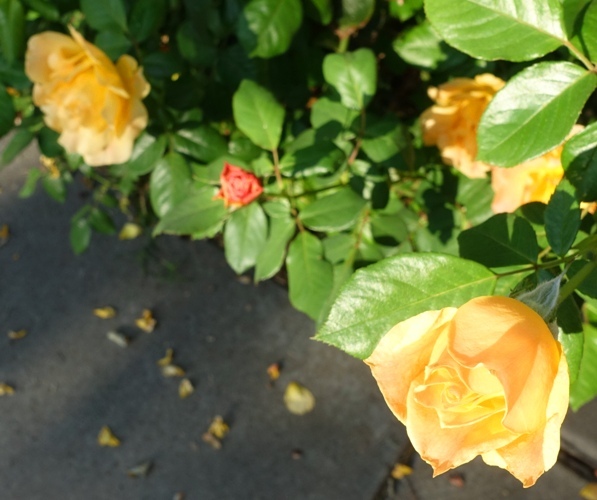 Earlier this week I saw a rose bud that told me that I would have a special rose this week. Here is the rose bud. You may look at this and not see what is special about it, but when you see it in context it makes more sense. Now do you see why it will be a special rose? 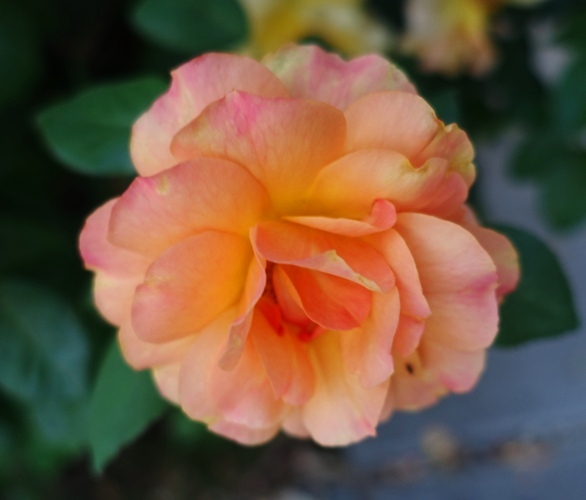 Of course this is a bit out of focus as the camera focused on the rose that was closer, but you can see that it looks like it is a different color. Here is what the rose looked like when I got home this evening. It is a beautiful color with some pinks and maybe a bit of orange. You can definitely see the difference with these two blooms. Normally I have just the yellow roses that in themselves are beautiful. Maybe once a year this rose bush will have a few roses of a different color. Sometimes they are almost red and other years they are less intense like this one. Here are some blooms from back in 2012 where they showed up a bit more red. I have done a bit of research as to why this happens, but I can’t find anything definitive. 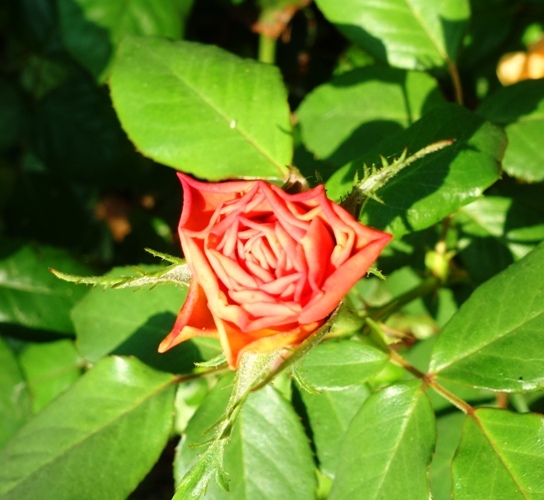 This is not an example of a cane coming up from the root stock as roses on the same branch are different colors. One suggestion is that there is a mineral in the soil that causes the color change. I will probably never know and I really don’t want to keep it from happening. It is always a nice little surprise to get the different color blooms. 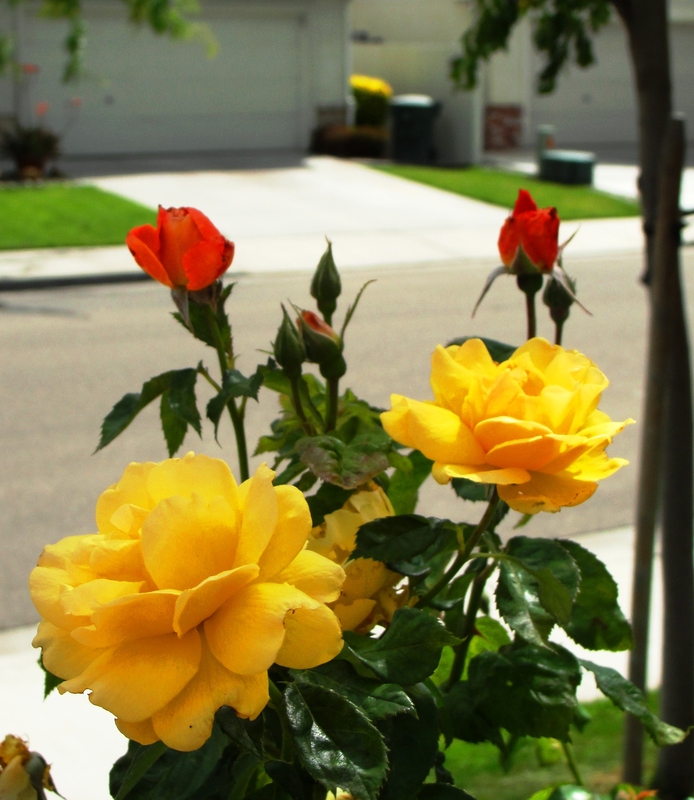 This entry was posted in Flowers, Nature and tagged Red Roses, rose bushes, rose problems, rose variation, Wrong color rose, Yellow Roses. Bookmark the permalink.